The proprietor Sarra Pond is a highly experienced Counsellor and psychotherapist for young people and children. Her background is psychology, counselling and psychotherapy and is currently a member of the BACP. Sarra is a highly respected and highly acclaimed individual in her field. Sarra has been involved extensively with projects working with young people as well as training other professionals involved with young people. Marcia Mckenzie is an experienced Care Manager with 25 years’ experience in the field of residential child care, including 20 years at management level, specializing in young people with emotional and behavioral difficulties. 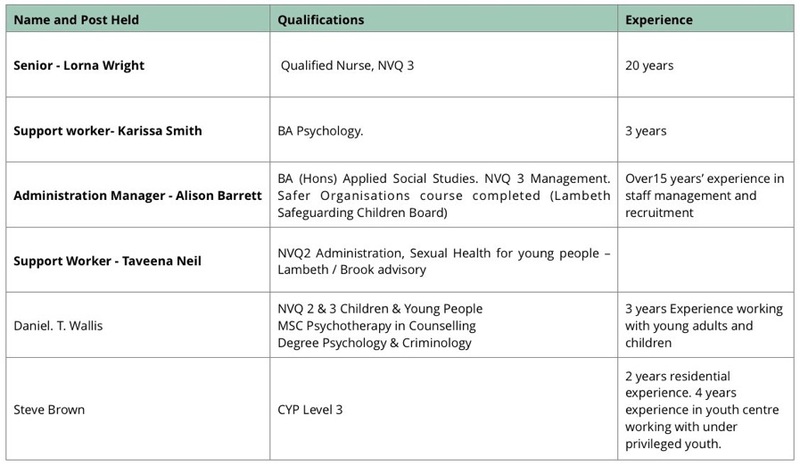 Relevant Qualifications include BTEC National In Social Care, Certificate in Counseling, Diploma in Advance Management in Care and Level 5 CYP in Management in Residential Care. There is a company pool of long term bank staff that supports the full-time team. 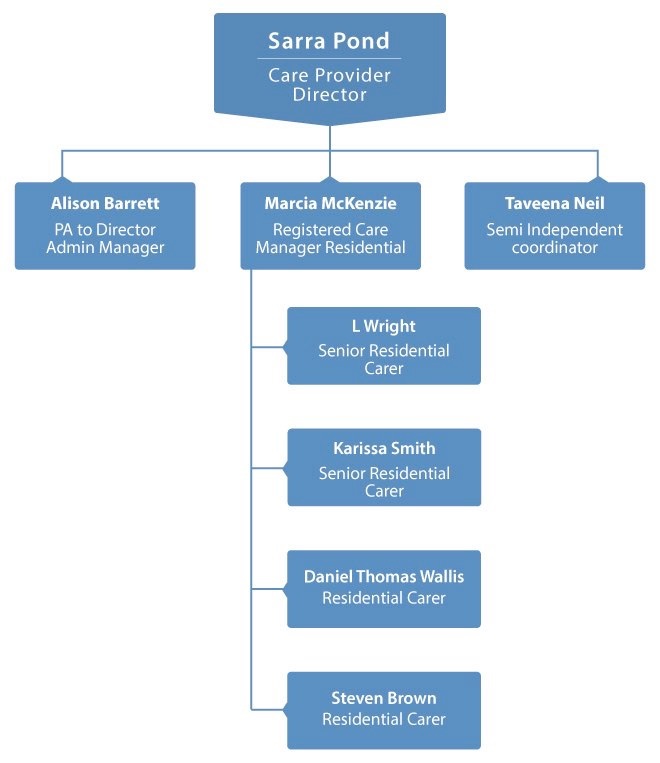 The organization structure for Mulberry House, the manager supervises the Deputy and senior staff, the manager and the deputy manager supervises the remaining staff. Authority and responsibility is followed through the chart.